Unless your parents told you, it is unlikely that you know the day of the week you were born. However, you can harness simple mathematical algorithms to use calendar constants -- such as 7-day weeks and 12-month years -- to calculate the day you were born. Write down your date of birth. For the sake of this example, let's use the date March 10, 1966. Write down the decade number of the date. If the decade number is even, use the the table for even numbers, and find the table entry that corresponds to the final number within the year. 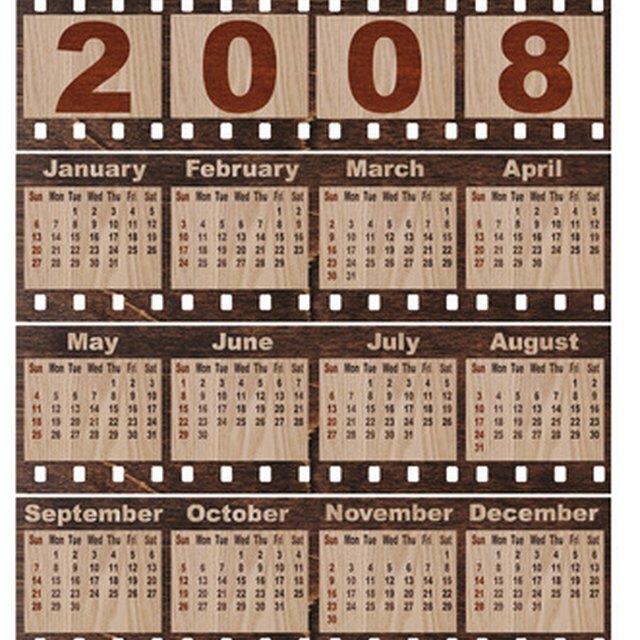 If the decade is odd, the table for odd numbers and find the table entry that corresponds to the final number within the year. If the date written was January or February of a leap year (these are the years in even decades that end in 0, 4 or 8) then subtract 1 from the answer. The value of the final remainder corresponds to the day of the week. Day 4 is Thursday, and therefore this is the day that corresponds to March 10, 1966. Plus Magazine: On what day of the week were you born? Markings, Samuel. "How to Calculate the Day I Was Born." Sciencing, https://sciencing.com/calculate-day-born-5512884.html. 13 March 2018.